Hunter ‘patiently’ waiting his turn – yeah right… what is patience? Ellyn figures it out… quickly! Piece of cake mom! 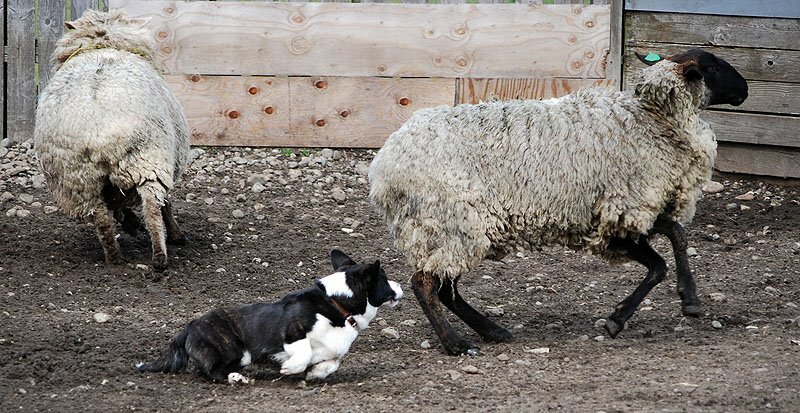 Hunter controls the ‘smaller lighter’ sheep with ease! Hunter looks like a cutting horse with those quick turns! Hunter got the ‘heaviest and hardest to move’ sheep the second time around since he did so well with helping Ellyn. Man, those sheep were large! Dotty gets her sheep to move all together! All pictures were taken by W. Patten. Thanks so much!